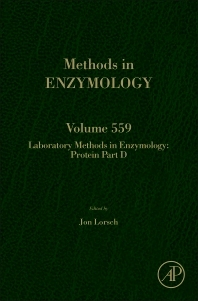 The critically acclaimed laboratory standard for almost 50 years, Methods in Enzymology is one of the most highly respected publications in the field of biochemistry. Each volume is eagerly awaited, frequently consulted, and praised by researchers and reviewers alike. Now with over 520 volumes and 40,000 chapters in the collection, much of the material is still relevant today and is truly an essential publication for researchers in all fields of life sciences, including microbiology, biochemistry, cancer research, and genetics, just to name a few. In this volume, number 545, we have brought together a number of core protocols concentrating on protein, carefully written and edited by experts.